The Kindle version of Born Bad is currently on offer for £1.49 in the Amazon Summer Sale, which is a 50% reduction on the normal price of £2.99. Here’s the link: Amazon: http://amzn.to/2niPMew. 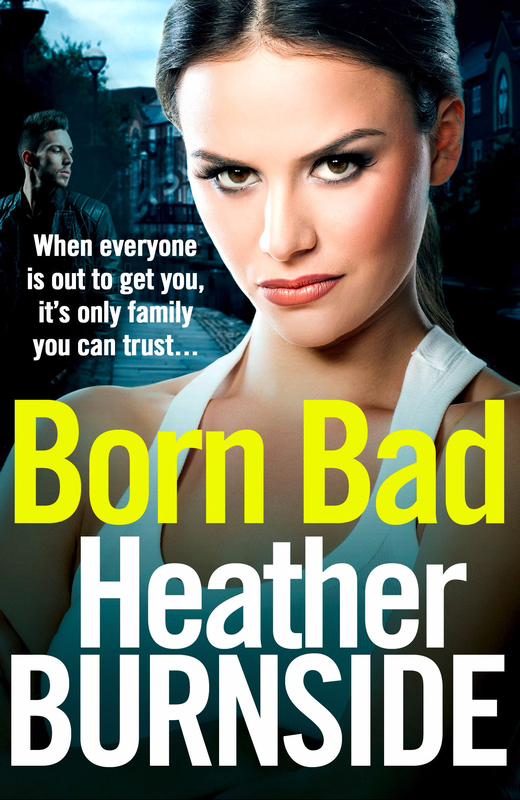 Born Bad has also been included in the Kobo Buy One get One Half Price sale. Here’s the link: Kobo: http://bit.ly/2o6awKj. I’m thrilled to see Born Bad zooming up the Amazon charts. It is currently around the 400 mark in the UK, which is an excellent achievement out of all the millions of books for sale on Amazon UK. I know that I have my readers to thank for this as well as my publishers who are doing an excellent job on the promotion side of things. If you would like to obtain a print version of Born Bad, it is also now available from Amazon at: http://amzn.to/2niPMew. Big thanks again to everyone who has downloaded a copy of Born Bad and to those who have spread the word. First of all, I apologise for being quiet lately both on the blog and on social media. The reason is because I’ve been working hard towards meeting my publishing deadline for my next book, which will be the first book in a new trilogy. More news will follow on that later but in the meantime I need to continue promoting my existing books. As part of my book promotion, I’m pleased to announce that my short story, Crime, Conflict & Consequences is now permanently free on Amazon UK and Amazon.com. Here is the Amazon link: http://viewbook.at/Consequences. There is also a preview of the first chapter of Slur in the back of the book so if you haven’t yet read any of my books, here is a chance to sample my writing free of charge. Crime, Conflict & Consequences is also free to download at Apple, Barnes & Noble, Kobo, 24 Symbols, Thalia and Inktera. I don’t have a link for Apple but here are the links for the other stores. In HELD UP our heroine is caught in the wrong place at the wrong time and becomes a witness in an unusual bank robbery. In ISLAND OF DREAMS Joe and Bev are looking forward to returning to the island they visited on honeymoon 34 years previously. Will it still be the same? In WELCOME ABOARD find out how Helena copes with the job from hell. It’s only fair to warn you that my novels are quite different from the short stories. Whereas the short stories cover a variety of genres and writing styles, my other books are gritty crime novels. However, the excerpt from Slur, which is in the back of the short story book should give you an idea of what is to follow. Bye for now and happy reading. I am pleased to announce that SLUR will be available for the special promotional price of 99p (or 99 cents in the US) from 13th May until 20th May. 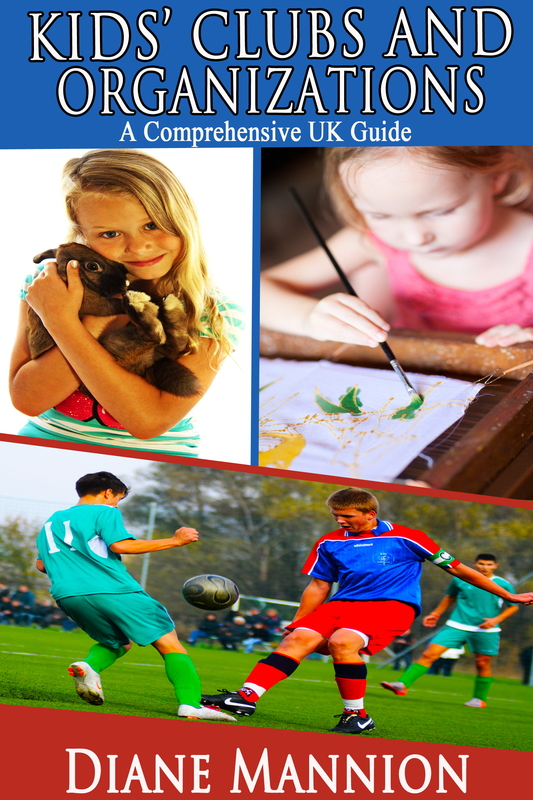 If you want to grab a copy while it’s on special offer, here is the link: http://viewbook.at/Slur. SLUR is the first part in a trilogy. The second part will be released late summer/early autumn of this year followed by the final part in summer 2016. How would it feel to be accused of a murder you didn’t commit? To believe your friends, family and colleagues had turned against you. Would you reach breaking point or fight to prove your innocence? Julie Quinley finds herself in this position following the events of one fateful night. She has to bear the slights and accusations of colleagues and acquaintances, and life becomes unbearable. Eventually, thinking that she has lost the respect of everyone around her, Julie plunges into a deep depression. However, unknown to Julie, those closest to her are rallying support. She reaches a turning point when her friends reveal that they may have found the real killer. Realising she must act in order to clear her name, Julie joins them in trying to find evidence. But proving a vicious murderer guilty is never going to be easy, especially when the police remain unconvinced. Will Julie and her friends succeed? And is their suspect really responsible for the crime? I hope you enjoy SLUR. If you want to find out more about future books or receive other free gifts and special offers including a free copy of my short story collection “Crime, Conflict & Consequences”, please sign up to my mailing list here. 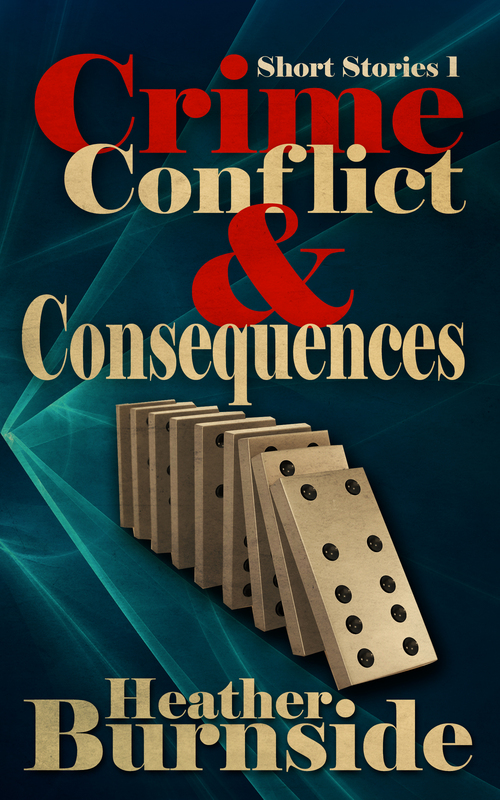 Here’s a chance to grab your free copy of my short story book, “Crime, Conflict & Consequences”, which is on free promotion from today on the Amazon Kindle: http://viewbook.at/Consequences. There are 10 stories in a variety of genres, writing styles and themes so there should be something to suit a wide range of reading tastes. Are Big Publishers Compromising their Authors? I read a book recently by one of my favourite thriller writers but was disappointed because it wasn’t up to his usual standard. The book extended to 500 pages in print but I felt that it should have been no longer than 250 – 300 pages. At 250 – 300 pages it would have been a good book but for me there were too many forced twists that were unconvincing. 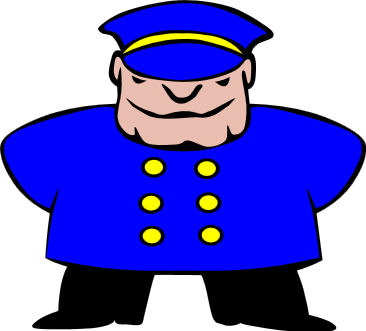 The protagonist worked for a protection agency in the US and he was assigned to protect a family from someone who wanted to obtain information by violent means. At first it was suspected that the father would have the requisite information as he was a law enforcement officer but it transpired that it wasn’t him. It may have been a convincing twist if played only once but that twist was carried out repeatedly. The author worked his way through each member of the family, four of them altogether, until eventually the person holding the information turned out to be the 16 year old daughter. Without all these unnecessary additional twists it could still have been a very good plot, which leads me to believe that the fault doesn’t lie with the author. 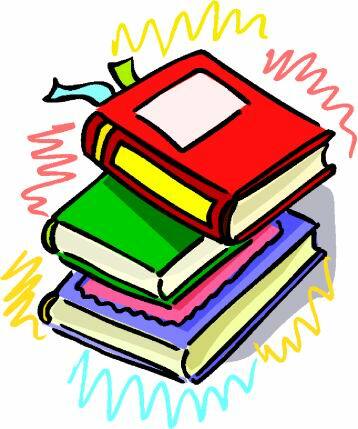 When I studied for my writing course many years ago we learnt the way in which the major publishing houses operate. Once an author has signed up with them they will require the author to produce a set number of books over a certain time period and will also specify the required minimum word count per book. Therefore, on occasion authors may be forced to stretch a plot beyond the bounds of credibility. At that time (about 15 years ago) I was informed by my tutor that publishers wouldn’t consider any novel of less than 80,000 words. In fact, the trend was for novels in excess of 100,000 words. I don’t know what the current requirements are but, in view of the above, I wonder whether these are still the same. 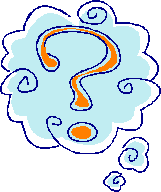 How do the royalties compare to the rate you receive as an independent author? Would any increase in sales compensate for the fact that this rate would be substantially less than the rate of 70% (in most cases and after VAT) currently enjoyed by authors independently published through Amazon? How much promotion would your publishers undertake on your behalf? Would your book be stocked by major book store chains? Would you have any say in the choice of book cover design and the book’s title? How much advance would you receive? How long would you have to wait for your royalty payments? What would the time lapse be between completion of the book and publication date? Would you be expected to make public appearances etc.? For anybody who is offered a contract with a major publishing house it is easy to become so carried away with the excitement that you lose objectivity and don’t think about all the implications. As independent authors we have autonomy and are used to making all the decisions ourselves. I therefore think it is important not to lose sight of this and I wonder how it would feel to have all of these decisions taken out of our hands. On the one hand it would perhaps free up more time to focus on writing because you might get more help with editing, proofreading, formatting and promotion. However, on the other hand, how would it feel to be told, for example, that you couldn’t use your own title for your own book?